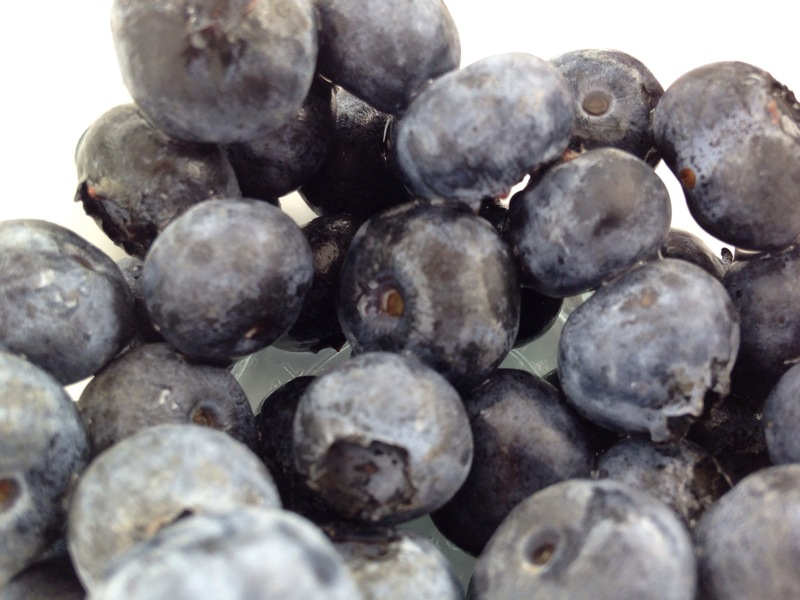 Super easy household fresh fruit ingredients can transform into this Red White and Blue treat to create a festive appetizer or dessert tray for any holiday party. 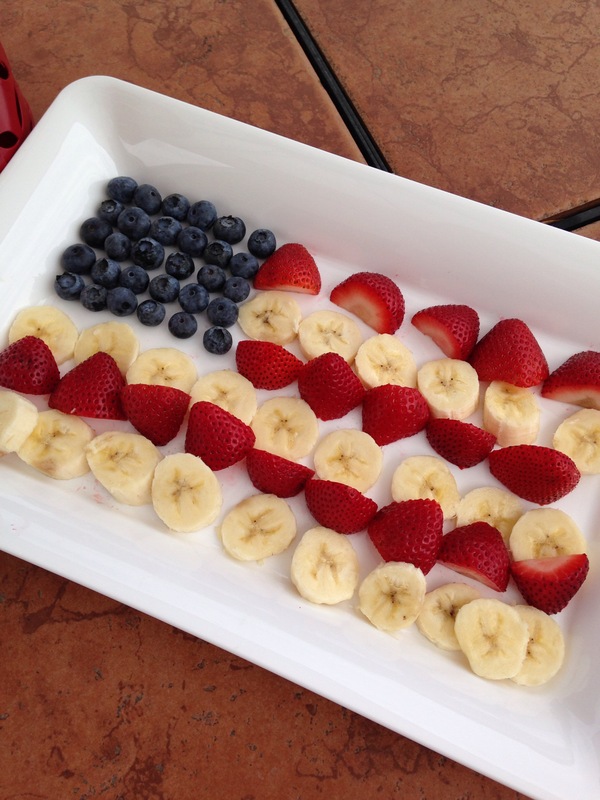 Take a peek at our instructions so you can simply make this 4th of July Fruit Flag Platter . I promise your kids or any guests will devour this in minutes! 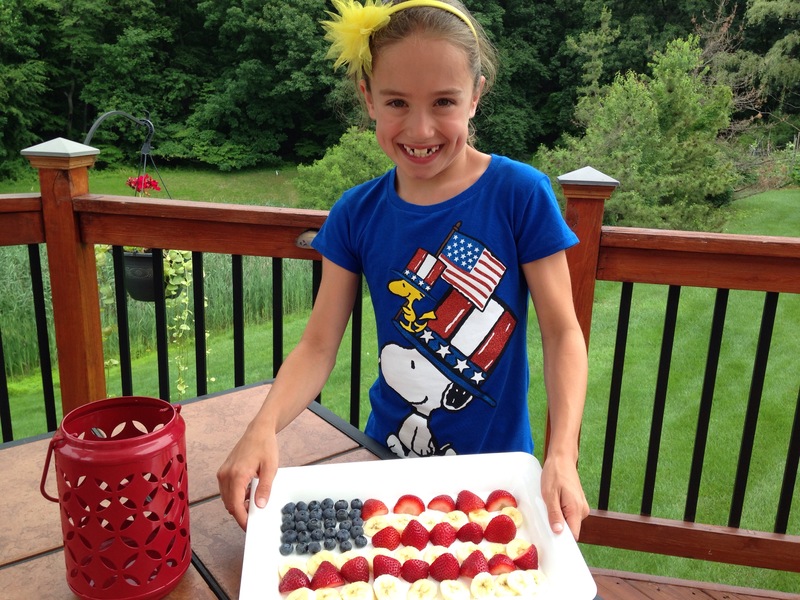 Take a peek at Kenzie’s How To Video to see just how to make this flag platter come together in a snap. Truly this is the most simple and festive appetizer or dessert tray you can easily pull together when entertaining . Pop by your local Walmart to pick up fresh fruit or use the household fresh fruit ingredients you likely already have on hand in the summertime. 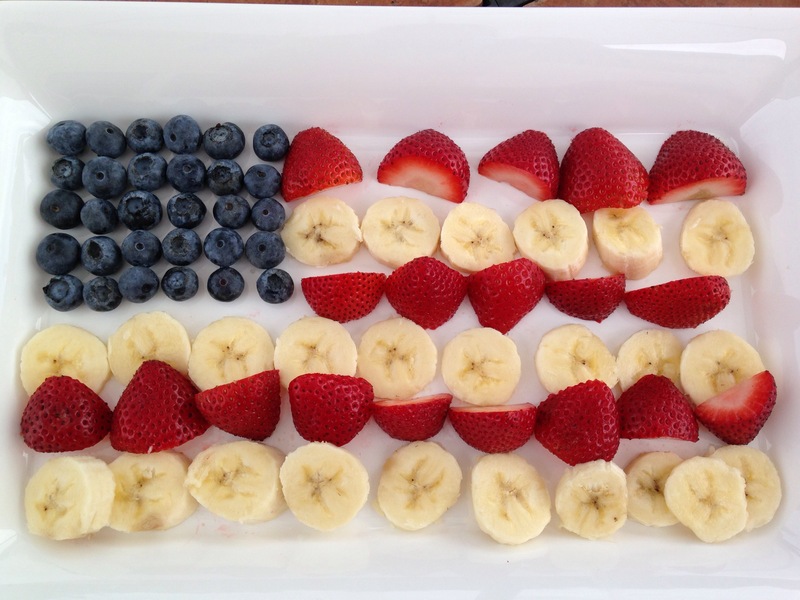 So easy to use Strawberries, Blueberries and Bananas for your Red White and Blue to create a pattern of stars and stripes. 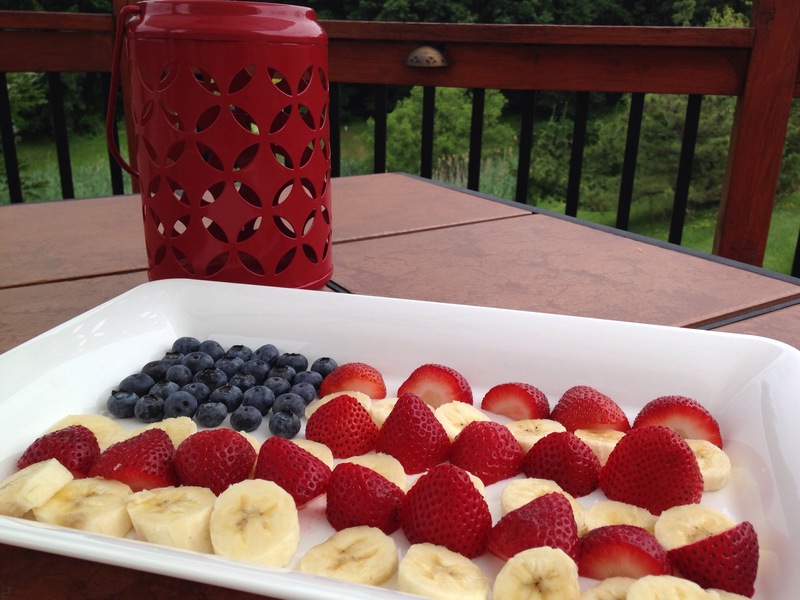 You’ll need a basic WHITE Rectangular Tray to showcase your “Flag”. If you don’t have a white tray, clear glass works nicely however the White tray is more bold for your background so is preferred. 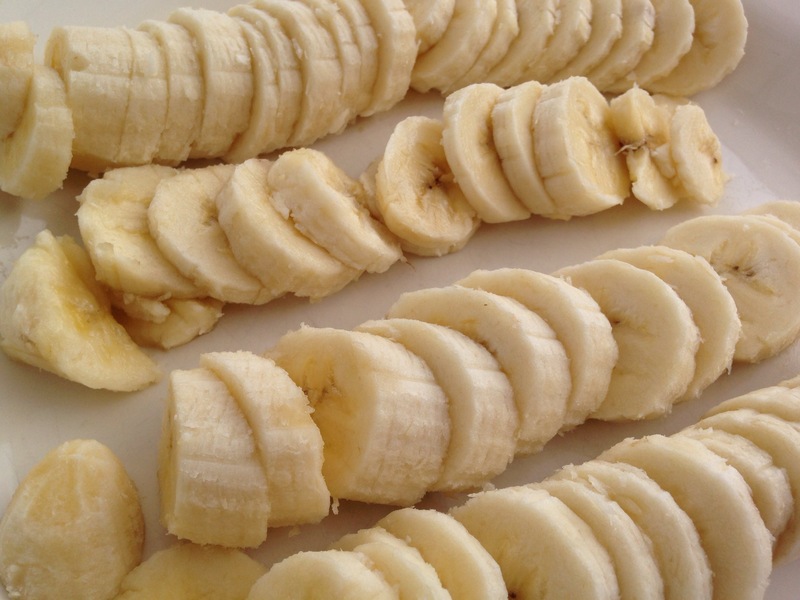 Next, chop up all your fruit – you really do not need to be too particular about how you do it. 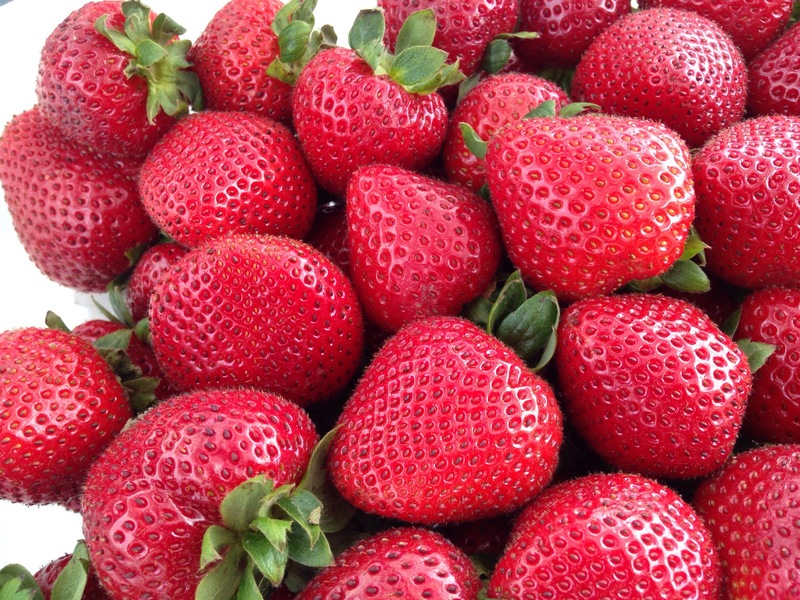 Just square off a corner with bluerries and then create alternating rows of Strawberries and Bananas.